The study and analysis of the comparative value of the properties, known in English as CMA or Comparative Market Analysis, is a very beneficial not only to consider when selling your home but also when it is considering the purchase of a property tool. Therefore it is important to emphasize the importance of obtaining a CMA for their decisions to sell or purchase more successful in terms of value of property is concerned. But what this study-analysis of the comparative value of properties in the market today? The CMA is a report that is intended to inform interested parties to determine the average values ​​of the homes in a given area. The CMA is a comprehensive guide that can vary in size due to the complexity of the activities in sales ever recorded. Active Listings (Active Listings) are those that are currently for sale. The prices at which these properties are offered do not necessarily reflect the current value until the property has been evaluated by a professional or appraiser . Listings pending (Pending Listings), are those that tell us that the process of escrow or escrow has begun with a buyer in particular. Note that the actual value of the property is determined after the appraiser or appraiser conducted the assessment and concluded with the corresponding report to verify that the price offered for the property in good faith consistent with the actual value of the property . Closed sales (Sold Listings), are those who successfully completed the process of escrow or escrow , meeting the qualification requirements of the buyer, the property seller, title company, insurance owner. When you get to this point that is the official close of escrow or escrow , the actual value of the property is recorded. Aside lists or canceled (Listings Off-Market, Withdrawn, Canceled), are the houses that were on sale but during the active period sales were recalled or canceled by mutual agreement between the seller and the real estate agent. Expired Listings (Expired Listings) are those properties that were not sold during the Terminio established and agreed between the seller of the property and the real estate agent. It is very possible that these listings reappear again in the market, either with the same agent or another agent to continue marketing the property for sale. To examine these listings need to consider various factors such as the area built on the property. Construction time because building codes and safety have evolved and have in many cases be updated codes today. The renovations also play an important role in determining the value, the assessor will consider the arrangements, additions or any improvements that have been made on a property. In additions it is important to investigate whether the additions have been made with the appropriate permissions. The property location is also another factor that evaluators consider, among others. But most important is that the decision to sell or purchase a property the you take, and the CMA will serve as an aid. That way you will feel more confident in determining what price you could put your property up for sale and determine what would be the approximate amount that could offer for the property you are interested in purchasing. 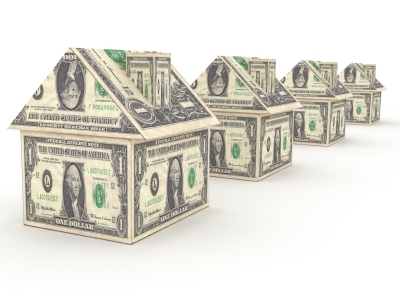 Note that the price of a property does not necessarily reflect the value of a property. The price is what the seller assigns to sell your home, and the buyer offers to buy property. The property value is the actual value, based on the report of the assessor or appraiser . As always your real estate agent can assist you in this task of research, to guide you and guide you in your decision is more correct and beneficial. When selling your home or buying a new home make sure you are aware of comprehensive market analysis (CMA).